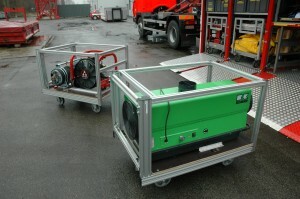 Xpo112, the trade fair for the equipment of emergency services will take place on 2, 3 & 4th of april 2019 at Kortrijk (BE). This year is already the 7th edition of the XPO112. Many exhibitors showcased the previous edition of XPO112 their latest products and services to the professional visitors. This has proven XPO112, after 6 editions, that there is a need for a contact platform for all emergency services who should work together on-site for fire, accidents and other interventions. Torfsconstruct will be present again this year at the fair XPO112. We would like to welcome you at stand 652. Register here for free. For more information about our offer and our opportunities – please contact the heading ’Fire Department Services’.